Not much time to shoot this week but got a photo on the shore of a Lake close to my work. Birds are staying later and later now, some even stay here that were flying South some years ago, warmer climate probably ?!?! These are Great Blue Heron tracks in the snow and ice, i didn’t saw the bird unfortunately. I converted the photo in B&W and finally i like it better than the color version. Taken with my Fuji X-E1 and 18-55mm on a tripod. This entry was posted on December 13, 2014 by Steeve Marcoux. 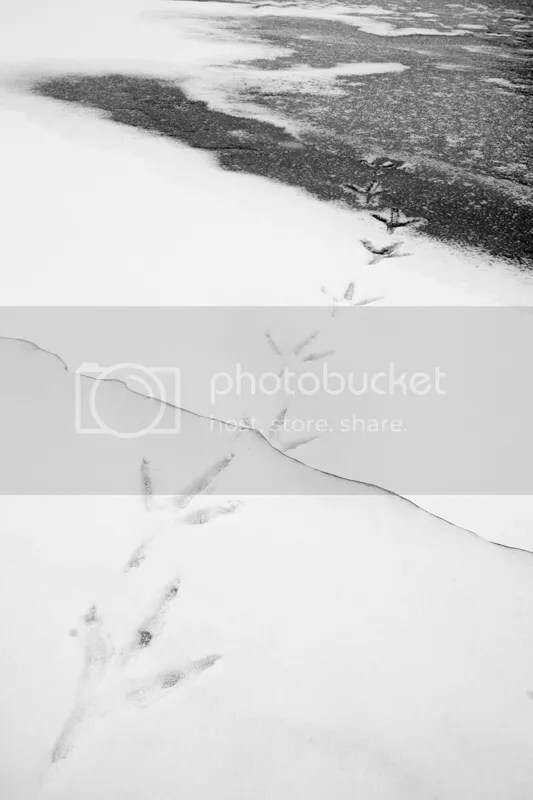 It was filed under Weekly photo and was tagged with Birds, cold, fuji, fuji x-e1, great blue heron, ice, photo, snow, track, winter.